135636. TREFAES DANCING QUEEN 2004. Photos courtesy of Michael Martin Photography and taken at Hay Horse Show, where both her and her foal, R. Ewan, won their classes. Photo courtesy of The Event Photographer, taken at RWAS where she received 3rd prize. 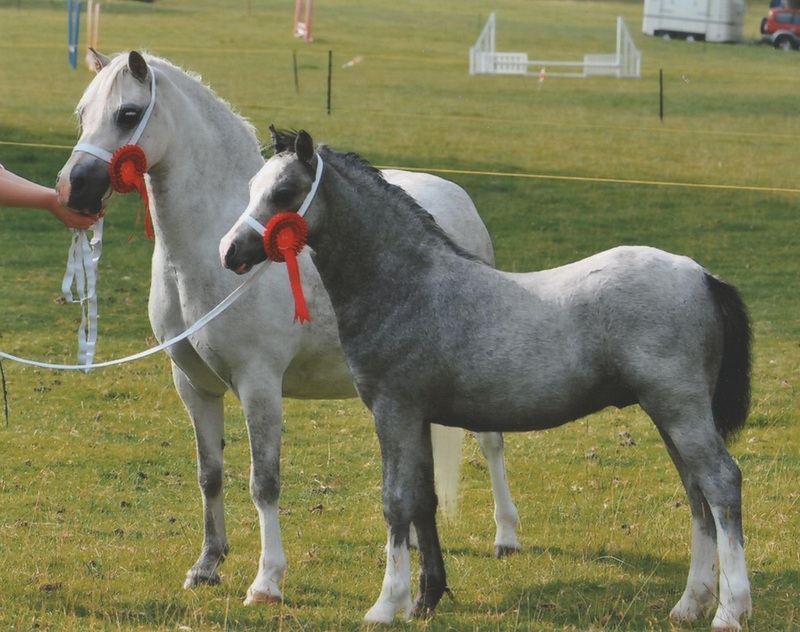 'Pip' was brought as a foal from Fayre Oaks for Rebecca to show, at her first show she was Champion at The Severn Valley Foal Show. 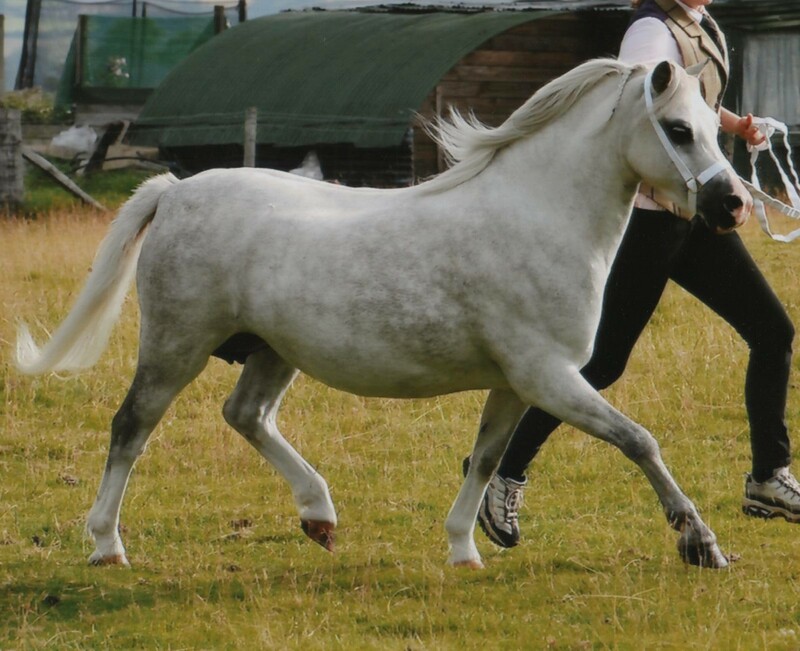 She has since been shown fairly successfully, as a foal she was also third at the Royal Welsh Winter Fair, and has a yearling she was 7th at the Royal Welsh. As a brood mare she has so far given us four foals, three colts and a filly, Rotherdale Cariad Bach, by Deri Drummer Boy77, whom we have retained. Her colt from 2011, Rotherdale Ewan (see for sale page), won his class at this years Royal Welsh, where she also received third prize. At the Royal Welsh Show 2011, photo courtesy of The Event Photographer. In the summer of 2000 I recieved a phone call from Robina Mills of The Rookery Stud. Robina had decided to disperse her section C ponies so that she could concentrate on her mountain ponies. Most had already been sold and one or two older mares put out to pasture. This left one mare which Robina didn't want to sell but wanted to find a home for. We had admired Lady in the past and were persuaded (quite easily) to take her on permanent loan. Lady subsequently produced two fillies for us, Rotherdale Uptown Girl in 2001 (by Merioneth Storm) now at The Popsters Stud, and in 2002 Rotherdale Vanity Fair (by Parvadean Replay). This filly was purchased by The Peasedown Stud as a foal and is being produced by Justin Davies at Popsters. She as already been judged a show champion, with many more to come I'm sure. Lady's 2005 foal (R.Ysabel), bay filly by Glebedale Reply and her 2007 filly R. April Lady by Tyr'eos More Fury will be retained by the stud for the present. 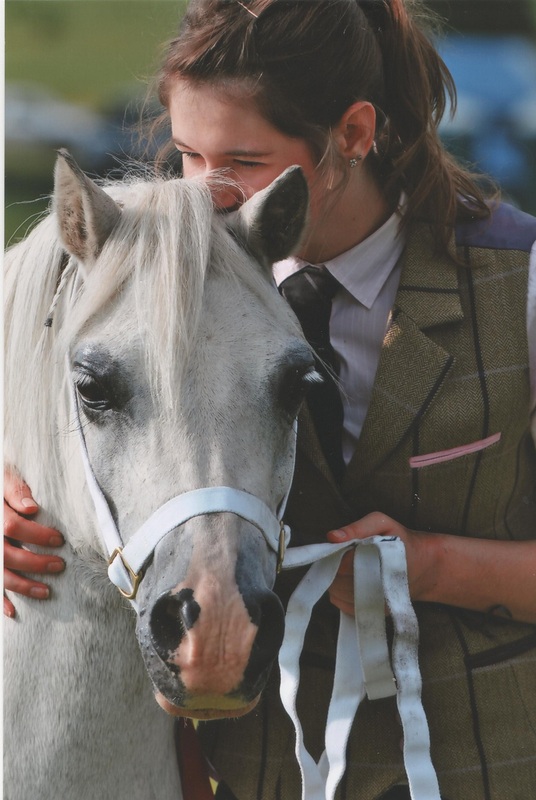 R. April Lady was shown as a 3 year old very successfully, with her most noteable prizes being first at the Three Counties and 7th at the Royal Welsh. 59506 GERRIG DULAIS. BAY 14.2 hh. 76030. ROTHERDALE DULAIS. BAY 14.3 hh. R. Dulais is the second foal, and probably best known daughter of our first foundation mare Gerrig Dulais. She was shown extensively as a youngster and was rarely out of the first three at many of the top shows, including Lampeter, Glanusk, Northleach, The Royal of England and The Royal Welsh. Her three greatest accolades are having been Young stock Champion at The Royal Welsh in 1987 and Female Champion and Reserve Supreme at The Royal of England in 1991, she was also a winner at Glanusk as a yearling. Maid is one of my favourite mares, and the image of her Sire. She was shown very lightly as a youngster, being second at The Royal Welsh as a foal and second at Glanusk as a three year old. Her most notable off spring are the full brothers and sisters R. Odette (first at Glanusk as a yearling and as a three year old), R. Rhodri our senior stallion (see stallions at stud list), R. Snow Queen (shown with great success by The Stepol Stud, Lancs ie Reserve Female Champion at The Royal Welsh 2005) and R. The Tsar, (sold at The October 2004 Builth Sale for £2,800) all being by Laburnum Magic who is by Trevallion Prince Comet out of a Nebo Magic Mare. She has a son (R.Young George) by Brymelys Enchanter in Sweden and his full sister R. Zelda is in North Wales. Her foal this year was R. Zareena a black filly by R. Rhodri. 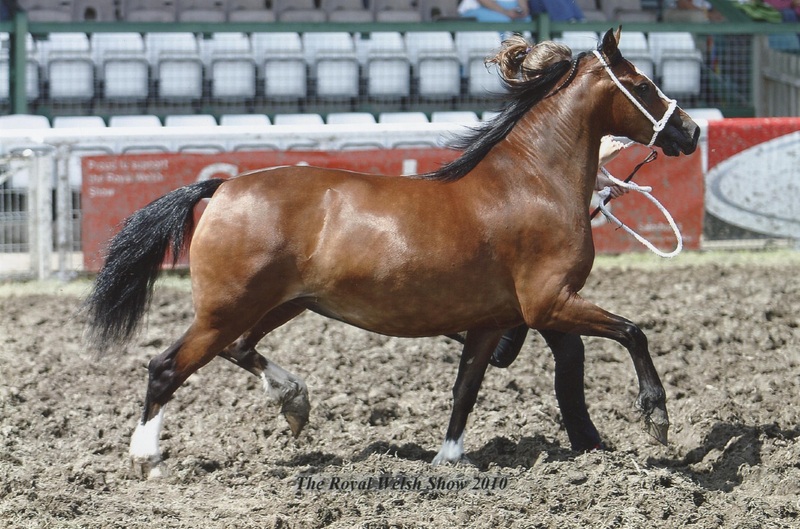 Zareena was not to be out done by her dam at the NPS Centenary Show and duly one the Supreme M&M foal Championship. 68314 TYDFIL MAGIC PRINCESS. 1981 BAY 14.2 hh. Princess arrived at Rotherdale as a two year old on a crisp sunny November morning after a trip to Abergavenny Market. The rest as they say is history! This wonderful little mare is as quiet as a mouse at home (often being handled by small children) but turns in to a real Welsh Dragon at shows. Many times a Champion, her two greatest achievements are winning the The Lord Arthur Cecil Broodmare Championships at The N.P.S. Show in 1988 and a Gold Medal as Female Champion at The Royal Welsh in 1993 (a show at which she won four times). When she was being shown her foals always ended the season with several first prizes and many went on to win in later years also. 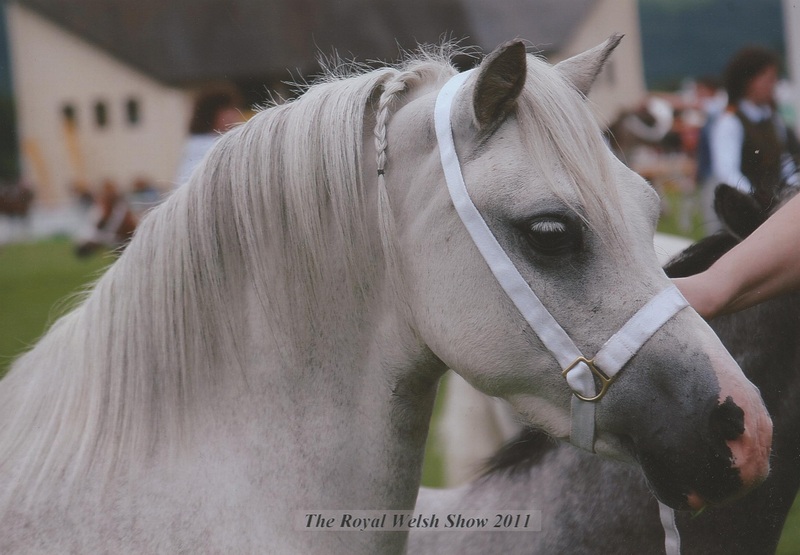 Her most famous daughter is undoubtedly Rotherdale Magic Princess, Supreme Champion at The 2002 World Centenary Show. She has three daughters in Denmark. The most famous of them being Carl Trock's Rotherdale Heiress by Gwrthafarn Commander (see links page Valhalla Stud). In 1985 two of her daughters both won their classes at Lampeter. These were Rotherdale Noble Lady a yearling by Gwrthafarn Commander and Rotherdale Magic Princess a two year old filly by Derwen Royal Express. Lady was subsequently bought at the May sale that year by Helen Williams (Seiont) for 3000 gns. We have two daughters in the stud at present Rotherdale Magic Princess of course and Rotherdale Imperial Maid (by Gwrthafarn Commander) who is the Dam of our junior stallion Rotherdale Rhodri. Princess is also the dam of one of our younger stallions Rotherdale Viscount. (see stallion page).